A field trip to Toyota showroom and service centre (Malad) was organized for the Sr.kg section on 20th and 21st July 2011.Toyota has a wide range of car models. This field trip was arranged to enable the students to know the working of machines in a car and to understand how servicing of the vehicles done .A demonstration for the same is was shown to the students. 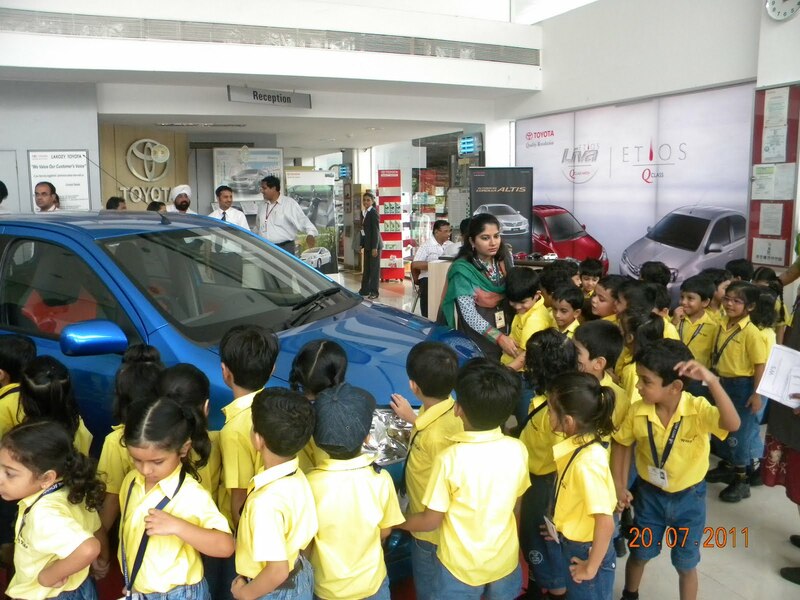 The students were taken to different sections of the service centre and their importance was explained to them. Students had a live experience, and enjoyed the field trip. 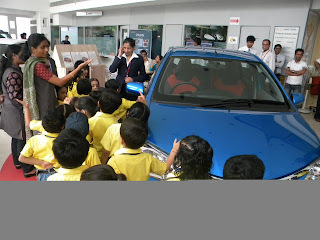 At the time of departure, the staff members distributed chocolates to the students. Overall it was a knowledgeable visit.